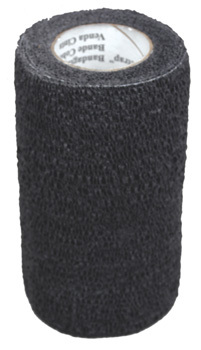 Bandage Wrap [BW] : Highland Livestock Supply, Ltd, Products for all of your show animals! Self adhering stretch bandage. Bonds firmly to itself but doesn't stick to skin or hair. Often used to wrap the chain on show halters or the bars of aluminum chutes.